Waterfront Villa with pool located in the Resort style community of Villagewalk. 2 bedroom 2 bath Villa is sparkling clean and ready to move in. You will be impressed with the two bedroom suites each with walk in closets , adjoining baths, crown molding and updated carpeting. This home features a very open floor plan designed with vaulted ceilings in the great room, a kitchen fully equipped with new appliances, pantry , updated glass front cabinets and corian countertops. The open den has plenty of light from the triple sliders and covered lanai. Walk out to your solar heated pool, with a newly screened cage overlooking a very serene water view. Easy to insure DiVosta built with poured concrete steel reinforced construction. Villagewalk is a Resort style community with a Clubhouse that has event space, meeting space, lending library, 24 hour fitness center, gas station, hair salon, gift shop, a newly remodeled restaurant, a geo thermal heated lap and resort pool, 6 har tru tennis courts and coming soon a sports court with pickle ball. Close to Siesta Key Beach, golfing, shopping , dining and doctors. Make the move to Florida today. Please, send me more information on this property: MLS# A4426483 – $335,000 – 5518 Modena Pl, Sarasota, FL 34238. 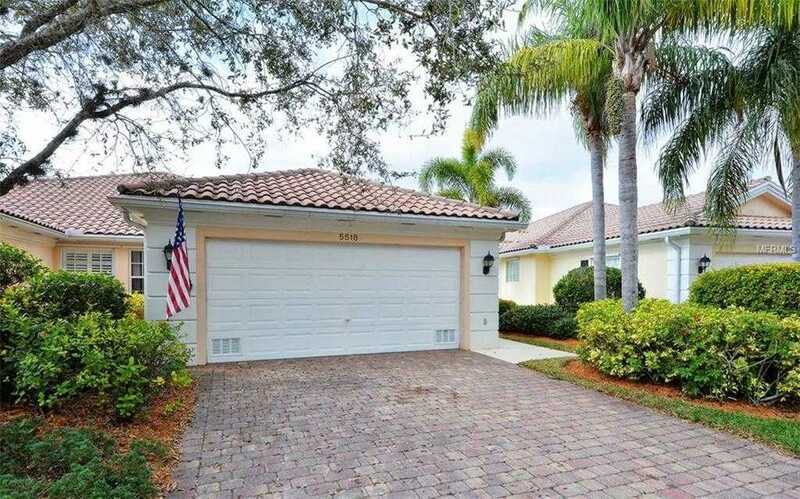 I would like to schedule a showing appointment for this property: MLS# A4426483 – $335,000 – 5518 Modena Pl, Sarasota, FL 34238.